Is This You? - Erie, Meadville, Fairview | Szymanski Consulting, Inc.
Having 5 to 50 workstations is common with our typical customer. They provide professional business services that have a dependence on the Internet, e-mail and their secure network for operating and running their businesses. Therefore, businesses throughout Erie, Meadville, Fairview, North East, Corry and Waterford trust in us to install and support the computer and technology systems that transform their companies into highly effective businesses. Settle for nothing but reliability and security with their IT Support Services for their network infrastructures. Are aware that technology is an effective system to increase output and help move ahead of the game. Are looking for a technology partner who will be a trusted advisor for the improvement of their productivity, profitability and operations through professional network and IT support. Will make a commitment to invest in systems and technology to eliminate repetitive manual tasks and to expand communication with Computer and Communications Networks. In the words of our clients . 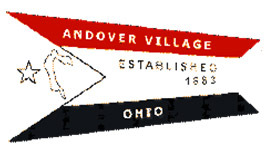 . .
Szymanski Consulting has helped to bring Andover Village to the professional level that is very important to the daily operations of said village with their expertise and freindly staff. We are constantly looking for ways to improve our dental practice, today's dental patient is very sensitive to cutting edge improvements in dental materials and technology, as well as the delivery of information to them. Szymanski Consulting has always fulfilled our technology needs with fast, courteous service. When asked to research a new area of technology they have welcomed the challenge. Our IT team here at TEMCO have been working with Szymanski Consulting for over 15 years now and we do owe them a debt of gratitude for continuously assisting us and taking care of our company network on a regular basis as well as any emergencies that may arise. As our company's IT needs have grown, so too has our reliance on the Szymanski team for a variety of network and other IT solutions. They were there in the beginning development of our network, and continue to expand and upgrade our systems as needed. Our company is close to 100 years old - when I started here back in 1997, I had the first Windows based computer in the entire facility. Today, we have over 150 computers with over 250 end users continuously using our network with barely any downtime. Szymanski is a part of that success, and we look forward to many more years of service from their team.